Israeli officials on Tuesday slammed an EU directive that will bar all 28 member states from dealings with Jewish settlements in the occupied territories, including annexed Arab east Jerusalem. A high-ranking official, who requested anonymity, described the European Union’s move as a disproportionate “attack” on Israel. “When it comes to disputed territories, the Europeans prefer to attack a small country like Israel instead of taking on more powerful states, because they’re afraid of retaliation,” he said. Israel was “only informed of the directive at the last moment,” he added. 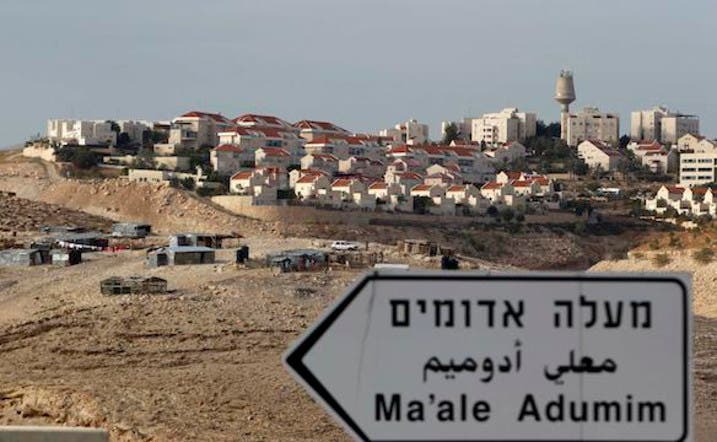 The directive, due to be published on Friday and take effect from 2014, forbids EU member states from funding or dealing with Israeli settlements in the occupied territories, according to Israeli media. It requires a clear distinction to be made in all signed agreements between Israel and the territories it occupied in the 1967 Middle East war -- the Golan Heights as well as the West Bank, including east Jerusalem. EU spokesman David Kriss told AFP: “These are guidelines on the eligibility of Israeli entities and their activity in the territories occupied by Israel since June 1967 for grants, prizes and financial instruments funded by the EU from 2014 onwards. “It makes a distinction between Israel and the entities in the West Bank, east Jerusalem, the Gaza Strip and the Golan Heights,” he said. Israeli Deputy Foreign Minister Zeev Elkin told army radio the Europeans had made a “mistake” and that the directive would undermine any return to peace talks with the Palestinians. “It’s a very worrying initiative launched at a bad time, because it only reinforces the Palestinians’ refusal to restart negotiations,” he said. Palestinian leaders say they will only resume direct negotiations with Israel if they are held on the basis of the lines that existed before 1967, and if Israel freezes all settlement activity in the territories. U.S. Secretary of State John Kerry was due in neighboring Jordan later on Tuesday on his sixth visit to the region in as many months in a bid to bridge the differences between the two sides. A leader of the Yesha Council -- an umbrella group of municipal councils in Jewish settlements in the West Bank -- strongly criticized the EU. “The one-sided and discriminatory EU directive means Europe has effectively decided to abandon any involvement it had in the Middle East peace process,” Dani Dayan said in a statement. “By aligning itself with the most extreme Palestinian demands... the EU can no longer be perceived as a neutral or objective,” he added.